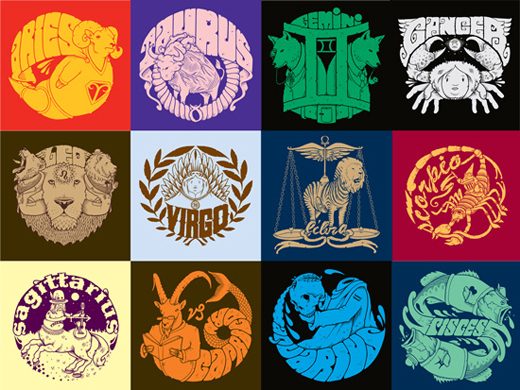 Upperplayground are releasing a collection of 12 tees from Jeremy Fish, all of them are zodiac inspired and are plays upon the characters of each astrological sign. 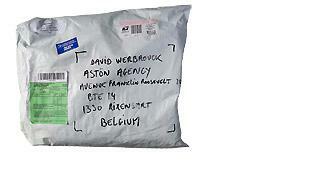 All twelve tees are available in men's and women's sizing. Alongside the t-shirts is the superFishal 2011 Calendar. 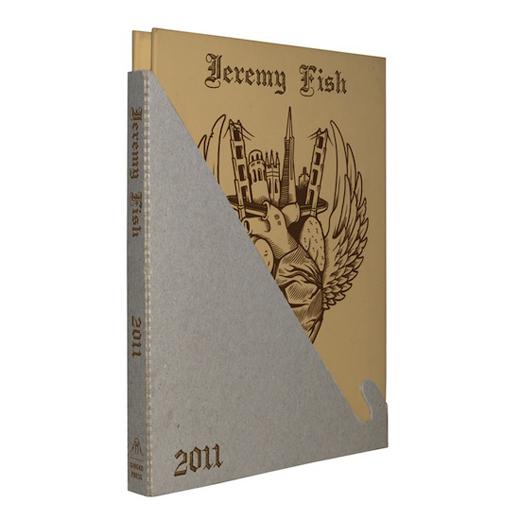 This 12-month accordion-style calendar has each month marked by images of Jeremy's surreal creations taken from their original screen-prints. 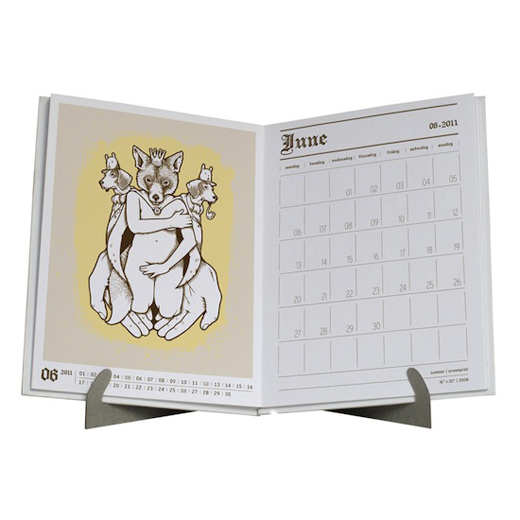 The calendar comes with a self-supporting stand and slipcase.